Pink Breath of Heaven is a fine, textured, wispy shrub growing 6' high and 5' wide, with tiny pink flowers that bloom from spring through fall. Flowers are at the branch ends and sway with the slightest breeze. Leaves are evergreen, fragrant, tiny and needle-like. 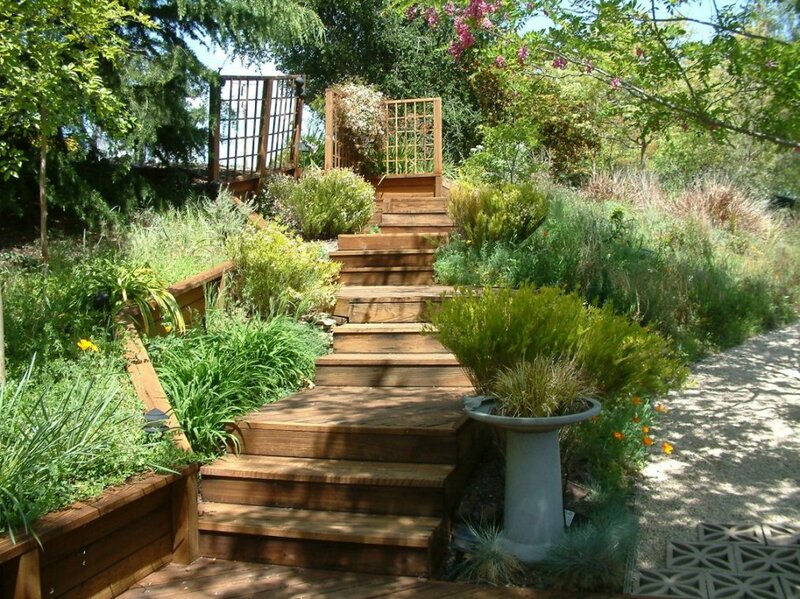 Plant near walkways so foliage may release aromatic oils when brushed. It does best in full to part sun with well draining soil. It can become drought tolerant once it's established. It does well in coastal areas. This grass will reach 6' high and has deciduous, purplish/red leaves with clusters of purple flowers that appear in summer and fall. Rubrum is a warm-season grass. Where temperatures get colder than 20 degrees F, the plants should be treated as annuals. Once the grass turns brown it can either be removed immediately or removed in the spring. It should not be expected to live through the winter and begin growing again in the spring. In areas where winter temperatures remain above 20 degrees it should be considered a perennial and the following information should be useful. Warm-season grasses won't start growing until mid to late spring or even early summer. Their major growth and flowering happens when the weather is hot. They will usually turn shades of brown for the winter. This fast-growing, coniferous evergreen is capable of reaching a size of 80' high by 40' wide. Its needles are a light, silvery green color, 2" long. Flowers are inconspicuous. Barrel shaped cones appear in fall and winter. Branches are pendulous and spreading. Plant in area that has ample room for growth. This perennial will grow to about 6' tall and has large green, grass-like leaves with red, orange, and yellow tubular flowers that bloom in summer. Flowers resemble tiki torches. Hummingbirds love the flowers.